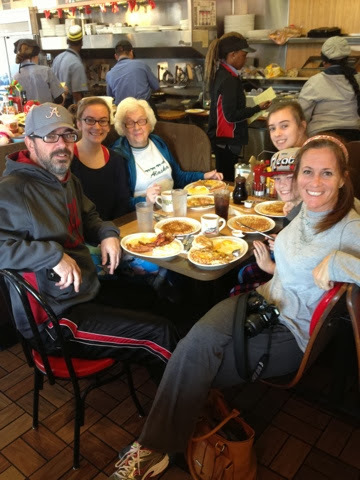 One of our favorite family traditions for Christmas Day is going to Waffle House for breakfast! I can honestly say that my kids probably anticipate this more than opening gifts. Crazy right?! I try to instill in my kids is that Christmas is not all about gifts and Santa, there is a real reason that we celebrate this holiday and without the birth of baby Jesus there would be no Christmas. While gifts, parties and Santa are all fun parts of the Christmas Holidays, being together with family, giving to others and celebrating the true meaning of Christmas always holds a special place in my heart. Now how does this all tie in to the Waffle House?! Well. I'm not really sure that it does other than it's a crazy tradition that my kids, hubby and I love to carry on. Over the years we've set up rules to along with this breakfast. 2. You MUST wear your new Christmas Pajamas. 3. You always leave a tip (along with a generous dollar tip) of Fresh Baked Cookies... Enough for all of the staff working on Christmas morning. 4. You MUST humor Mom and take a family photo (taken by a stranger) inside or outside of the Waffle House. This will be the only family photo that Mom will require all day. I love that my kids love this tradition and don't get caught up in missing the true meaning of Christmas...Wishing you and yours a very Merry Christmas and Happy and Healthy New Year! 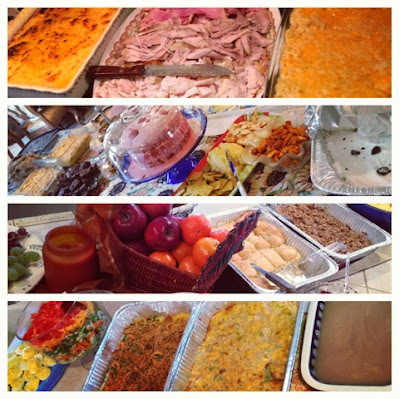 *What are some of your family's craziest Holiday traditions? 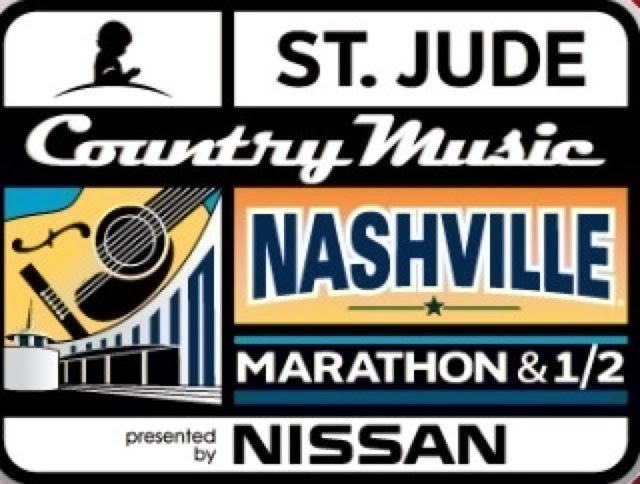 So how excited was I to find out that I was chosen to be a blogger for the Rock n' Roll Series St. Jude Country Music Marathon & 1/2?!?! So excited that I wanted to scream a big YEEEEHAW out to anyone who would listen!! I've got runner's lungs so that would have been pretty loud. Just sayin'. The race is April 26th. Hope to see you there! Everyone was moving SLOW through this mile, taking it all in. 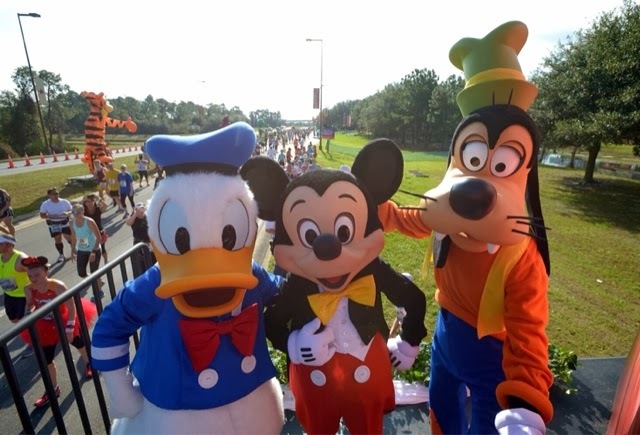 There's no other marathon where you can stop for photos with Donald, Mickey and Goofy at the same time. The kid and runner in me LOVES moments like these. Standing in line waiting for photo! Me and one of my favorite running buds. I goofed off with one of my best pals, Dave Mari and we took lots of crazy pics through this mile! 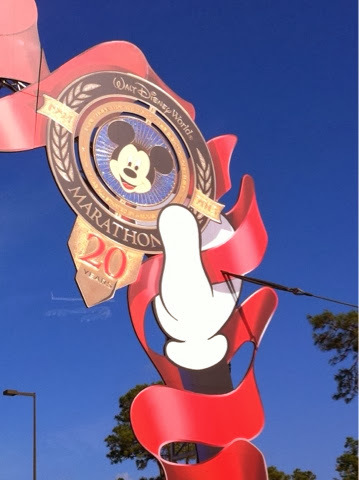 All of the medals from the past 20 Walt Disney World Marathons were featured on the arch for us to run underneath....Cool! The 20th Anniversary Medal! Gorgeous! Loved all of the bling on the arch! I'm training hard and am ready for the big payoff--the ultimate reward, 26.2 miles of Magical fun! I leave in 22 days....two more long runs and I'm there! 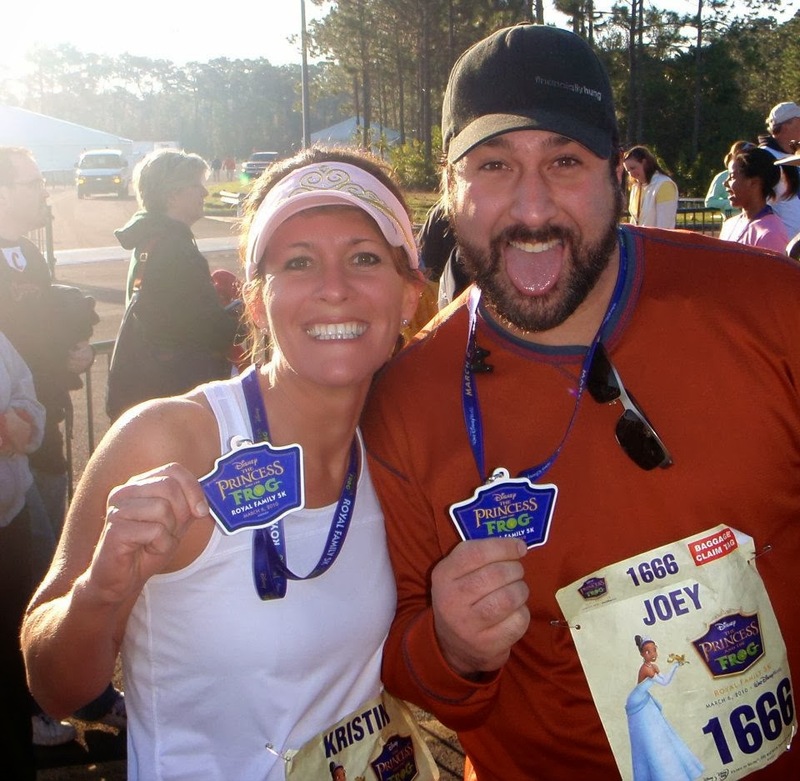 **Are you running the 2014 Walt Disney World Marathon? 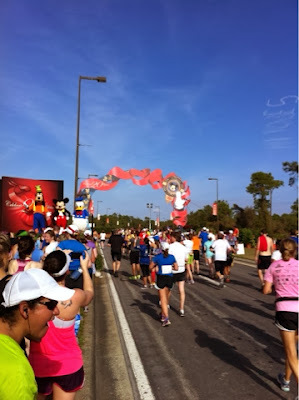 **Be sure to check out runDisney.com for more information on runDisney events. One of my most favorite race pics...EVER! Go here for more information on the December 12th Discounts. 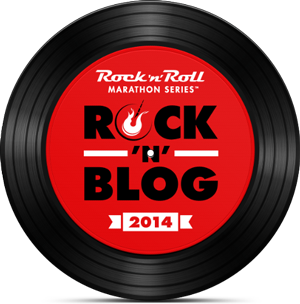 Have you ever ran a Rock 'n' Roll Marathon Series Race? Recently, I was contacted by the guys over at DisEnvy and was asked if they could interview me and get a few tips and advice on running runDisney events. I was honored to be able to participate! For those of you who may have missed it, here it is....Enjoy! Thank you to Disenvy for the interview!! Be sure to follow @Disenvy on twitter and their blog at www.disenvy.blogspot.com. Over the past few weeks we have been bring you interviews with castmembers at Walt Disney World. This week we are going in a different direction. 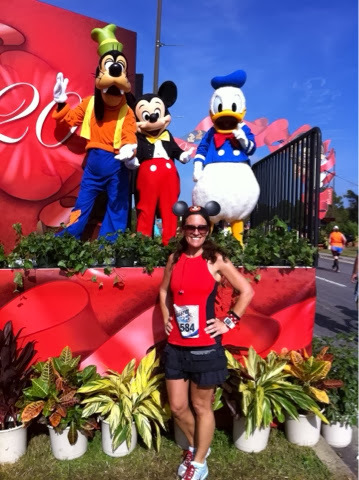 Kristin is an avid runDisney Runner, and runner in general. 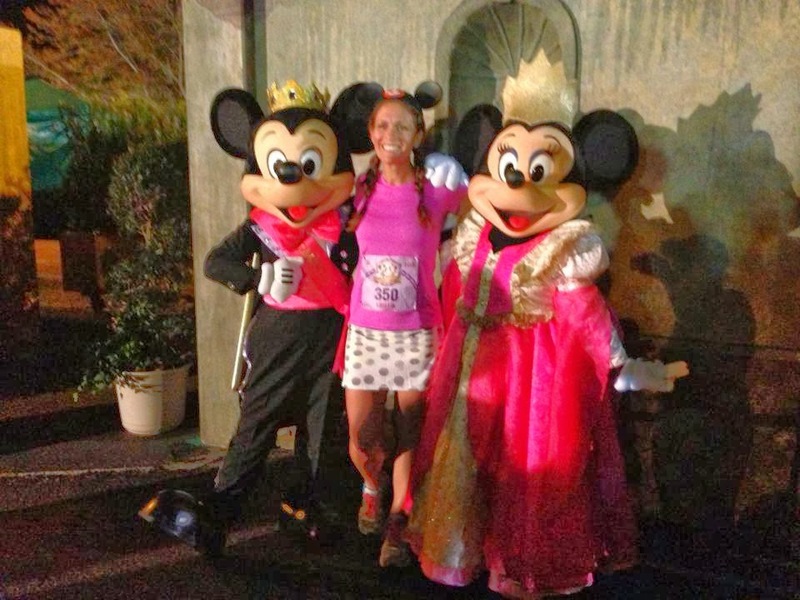 She has been running since 2008, and ran her first runDisney Race in 2009. What is your first Disney memory? Honestly, I don't really have a first Disney memory. I've been going since I was 6 years old so LOTS of my childhood memories come from Walt Disney World. What is your first Disney Vacation memory? There is no way that I could narrow that down to one favorite. I have so many! I have memories with my kids and my own family that are probably my most favorite. I'll go old school on this one--Cinderella. I've been running since 2008. 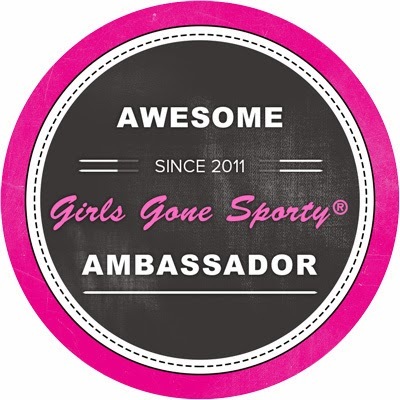 I had always been a sporty girl and even did Jazzercise in my high school days...oh my! When my youngest was about to start Kindergarten, I started feeling the "I'm all alone at home blues". I was a stay-at-home mom then and knew that I had to find something for me to take my mind off of having all of my babies out of the house. My sister had just ran her first 5k and her race pictures looked fun so I decided to give it try! It was the BEST decision that I ever made. When and what was your first runDisney race? 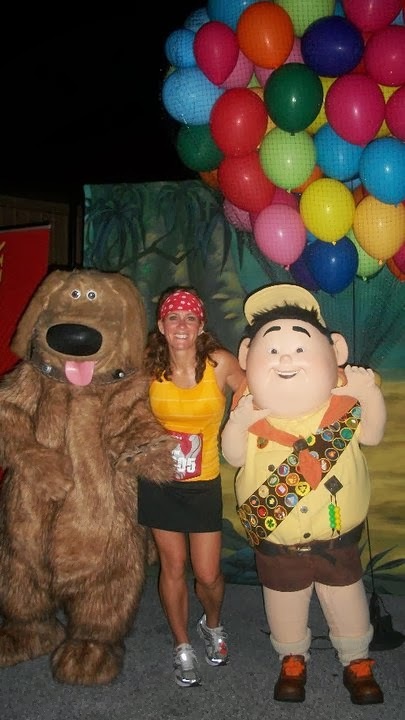 My first runDisney race was in 2009. After I started running in 2008, I saw someone wearing a Walt Disney World Marathon shirt in my local gym. At that time, I had never really paid much attention to people that wore running shirts. When I saw her shirt, I knew right then which long distance race would be my first. I had someone tell me, "It's not that I don't think you could do it, I just think that you won't." 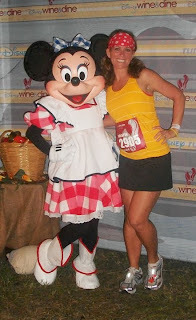 I went home that day and registered for the 2009 Walt Disney World Half Marathon. How do you go about training for runDisney events? For me, I run all of the time so I'm always "Half-trained". The hardest part of running a runDisney event is that I have to train myself to take it slower and train myself to get plenty of rest! Those early mornings are tough! 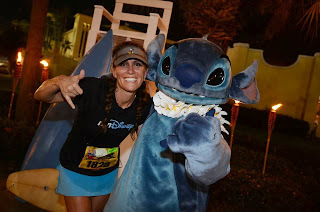 What is your favorite runDisney event, and why? I noticed you are training for the Dopey Challenge, what motivated you to take this challenge, and what is your training like for a such a long weekend? I will be honest and say that when runDisney announced this challenge, there was never a question that I wouldn't run it. I love a good challenge and the medals...OH MY GOSH. I will receive 6 runDisney medals that weekend. Between four days of running at my favorite place in all of the world and the six medals, it was a no-brainer. The training has been great so far! 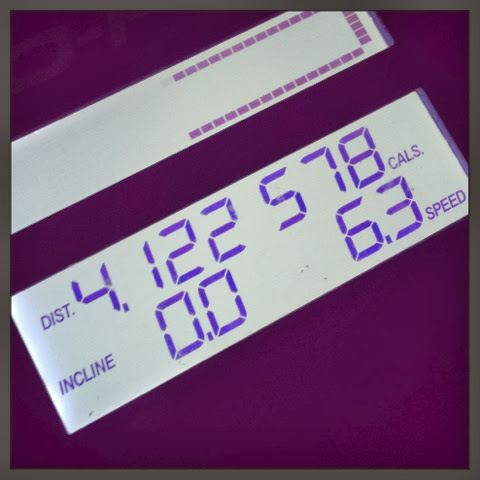 I have tried to stay on track and follow the Jeff Galloway training plan. I downloaded it to my phone from the runDisney website so I know exactly how many miles to get in each day. I've had to tweak it to cooridinate with my busy schedule and I don't walk any of the miles but I don't plan on walking during the challenge either. How do you determine if you are going to stop for a picture opportunity with characters? I stop for every single character! I train hard at home so that when I run runDisney races, I will still have a good enough pace time so that I have the time to make those stops. I couldn't imagine running a runDisney race and not having those pictures in the end. I don't care about PR's...I care about having fun! How do you balance your park time on race weekend? I am not a normal runner. It really depends on what my friends want to do after the races but I'm a believer in going to the parks and staying in motion! I have done the Goofy Challenge twice and was not sore after and I really think it's because I kept moving! I have a hard time sitting still...especially when I'm at Walt Disney World! Do you do any training while at the resorts before the race? I have been known to get a couple of runs in around the resort if I'm staying for a lengthy trip. Usually walking in the parks is enough exercise for me on race weekends. Do you have a playlist or a favorite band to listen to on runs? I normally listen to Pandora when I run so I don't necessarily have a playlist but Pink fires me up! She's a tough girl...I like it! What is your biggest motivation during a race? My biggest motivation is always the Finish Line! I know how great I always feel at the end and when I'm having a bad race, I push through. The Finish is ALWAYS worth it! When you cross the finish line, what is the first thing that goes through your mind? It's over?!?! I want it to last forever! What's the best way to recover after a race at Disney? 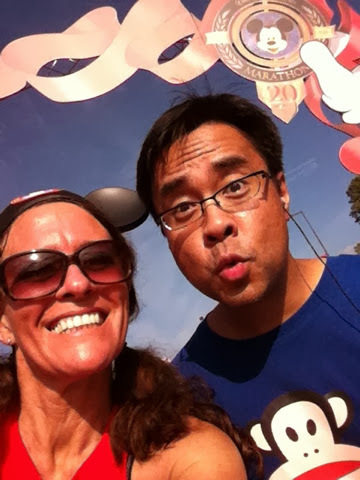 I always recover by going to the parks after a runDisney race. It's fun to show off your new bling and keeps you from tightening up! I don't over-do it but I like to keep moving. What is your biggest achievement at a race? Probably when I caught a lady that was running next to me as she was falling to the ground due to dehydration. That was a really scary moment. She passed out and I was not sure that she was going to be okay. I literally carried her with her arms draped across my shoulders (along with another fellow runner) to the finish line. I realized during that race that it's just as important to help get others to the finish line as it is yourself! What advice do you have for running in the cold and how do you train for different climates? So this is a tricky one for me. I'm usually a very "hot-natured" runner and live in Alabama so we don't have too many weeks of extreme temperatures. The key is to find clothing that will keep your body temp stable and not allow you to lose your own body heat. I admit that I'm terrible at this because I want to shed all of my clothes when I run. TMI, I know. Ha! I also own a treadmill so when it's really nasty outside, I utilize my treadmill. The summer months are more of a killer for me...The humidity is so bad where I live so I really have to stay hydrated. I drink about 120oz of water per day in the summer time and that seems to help. 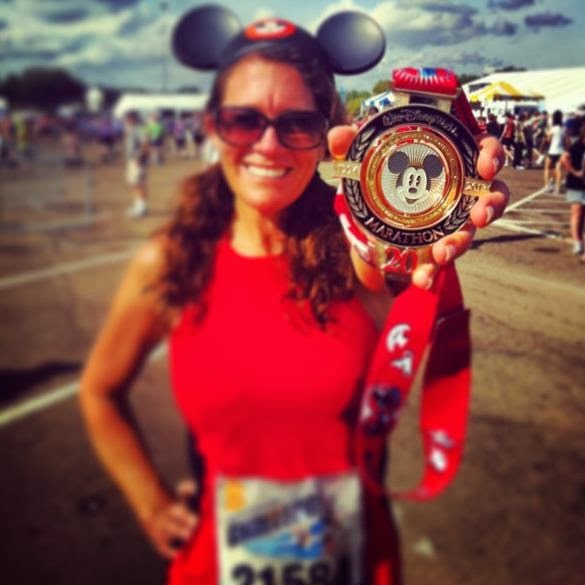 Are there any downsides to running a runDisney race? Price and proximity are always going to be the downsides to runDisney races. They are becoming so popular and with popularity brings and increase in price as well. I live about 8 1/2 hours away from Walt Disney World so travel expenses have to be figured in also! 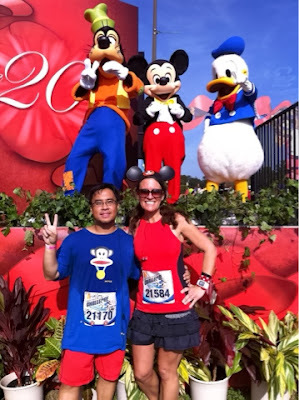 What advice to you have to anyone that is starting to get into runDisney? Don't be nervous!!! 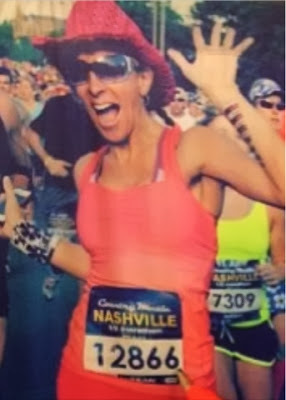 I was a nervous wreck going in to my first half marathon and I walked away from it knowing that I would do this forever. It was the most fun I had ever had! 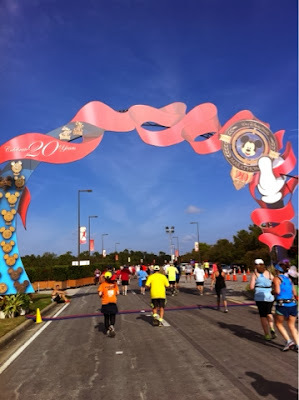 Which runDisney race would you recommend for a first race? I would always recommend any race during Marathon weekend. There is a distance for everyone, Kids Races, 5K, 10K, Half Marathon and Full Marathon...39.3 and 48.6 Mile Challenges too! It can be a bit overwhelming but it can also be very inspiring if you are a beginner runner. For a first time runner, what are things you should expect on an event weekend? Lots of traffic and large crowds are probably the most important things that new runners need to take into consideration. Getting from your hotel to the Start Line can be an event all in itself! What are some things that new runners need to focus in the day before their first long distant race? I always focus on my meals! I really try to pay attention to what I'm eating and when...carbs, staying hydrated, not eating things that I would not normally eat. As a first timer, could you walk me through what I need to prepare for at the expo? First, I would say to read all of the Final race instructions on the runDisney email that you receive before you leave home. There will be specific instructions as far as transportation goes. 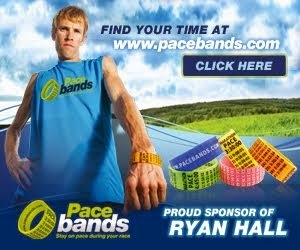 Then, Print and sign your race waivers. You can do this when you get there, but again, it's crowded and that's just one less thing that you have to do once you get there. Get there early. Merchandise sells out quickly and you don't want to miss out on those must-have race souvenirs. 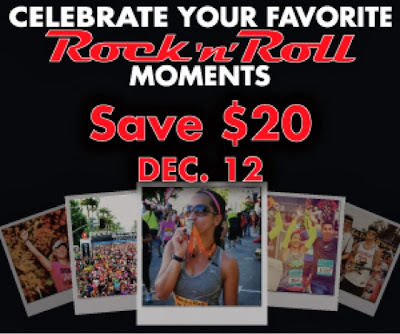 Aside from those things...you will pick up your race packet, shop and have fun! Are there any most do's at the Health and Fitness Expo? Don't rush through it! It will be crowded and there will be lots of vendors but your race registration includes this fabulous expo FULL of shopping and guest speakers so take it all in. Spectators are a great in sports, what makes them on the runs, and do you have any advice for people that are going to the events for just that? Spectators play a huge part of a runner's experience during races. I have had spectators cheer me on before and that was really the push that I needed to get me through the next few miles. During the 2009 Walt Disney World Marathon, my mom and I cheered on my sister and brother in law on Main Street USA. It was incredible! My advice if you are going to be a spectator is...get there early, make great signs, yell out the runner's names (it's on their bibs), and go to different points in the race. The Finish line is another great place to be! I saw that you made it to the second round for the Disney Moms Panel (Congratulations), what does the Moms Panel do and why do you want to be a part of it? Thank you! The Disney Parks Moms Panel is a panelist made of moms who share their love for Disney and help others plan their vacations. There is a website,www.DisneyParksMomsPanel.com , where you can go on and ask the Moms all kinds of questions regarding your vacation planning. I applied to be the "runDisney Mom" and there is a 4-step application process. I only made it through round two which I was very sad about. 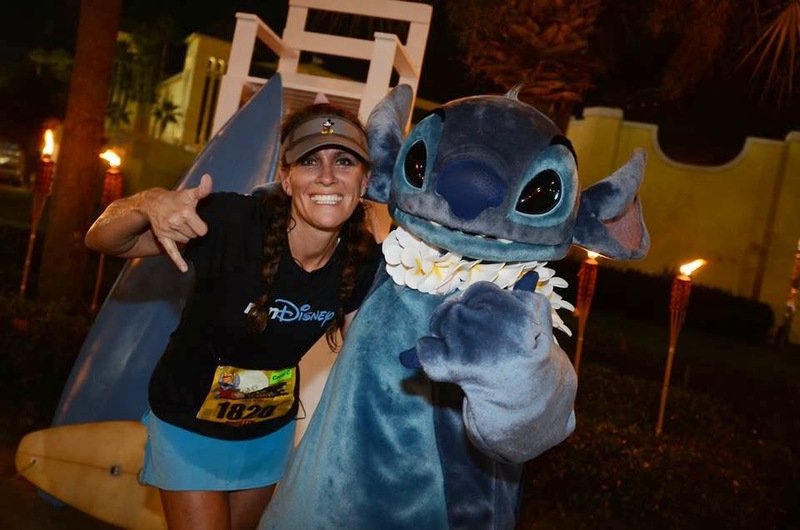 I absolutely LOVE running the runDisney races and want to share my advice, vacation planning and all kinds of other tips with everyone. I will apply again next year and hope to be able to make it onto the panel! Big question here, runDisney event or University of Alabama Football game (Roll Tide)? Oh wow. That's a tough one...I'll have to say Both! If a Bama game falls on race weekend, I'd have to go run the race and then head to ESPN Zone to catch the game..best of both of my worlds. :) Roll Tide! Thanks again for letting me answer your questions.. I had fun!